Recently we were working on adjusting the configuration on a database which had just been moved to another server during a routine technology upgrade of our development servers (Reviewing and configuring your SQL Server instance). No users were yet allowed in the system and hence, one of the team members was surprised to note a “Number of Users” count higher than 1 in the database properties window of the SQL Server Management Studio (Getting Started with SSMS). The team member obviously thought that the value of “Number of Users” indicated the number of distinct, currently open connections to the database. The confusion that the team member went through is understandable, and that’s what inspired me to write this quick post today. The “Number of Users” value is actually the number of database users associated with the database – it is not, I repeat: not, the number of concurrent users connected to the database at a given point in time. I trust the above quick post helps clear out the confusion around the “Number of Users” value in the database properties window of SSMS. This entry was posted in #SQLServer, Blog, Imported from BeyondRelational and tagged #SQLServer on December 13, 2012 by nakulvachhrajani. Glad you liked it, athea! I have one doubt. 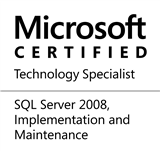 We are using SQL Server 2012. I have db_owner permissions on my project database. When i am trying to see database properties it is giving me the error. User does not have permissions to perform the action. Why its giving me the error. Can you please help me on this.